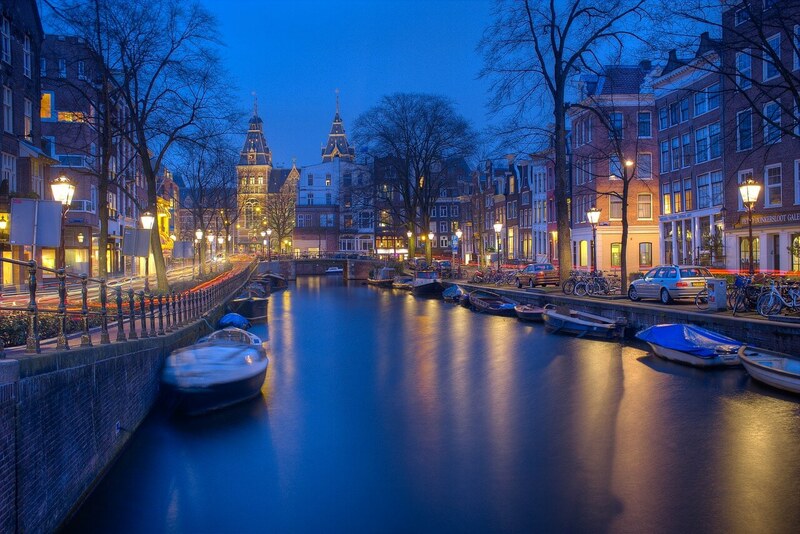 The Netherlands, particularly Amsterdam, is famous for its coffee shops. And tourism is one of the factors that plays an important role in the prices and the strains offered in Netherlands coffee shops. Loads of tourists, from all over Europe (and the world), come to Amsterdam to try cannabis, often because it is illegal in their countries. Marijuana prices, of course, depend a lot on the area of the coffee shop. For example, prices in Amsterdam — one of the most popular tourists spots on the map — are typically higher than in other places. You can use our cannabis price comparison tool to find the best deals in your area. Among the big variety of cannabis strains, the most popular tend to be the winners of competitions like The Elite Cup, The Homegrown Cup and the Amsterdam Unity Cup. All of these events started gaining more popularity since 2014, the year that a 27-year-old tradition stopped and the Cannabis Cup was cancelled once and for all. The competition among Netherlands coffee shops and the cannabis seed banks is always strong and interesting, because it follows worldwide market trends. Cannabis seeds banks use high technology methods to make new breeds which they present to the public. Every year, the crowd participates by tasting, reviewing and deciding the best strains (in a democratic way). Since the cannabis market in the Netherlands is simply “tolerated,” it’s difficult to have a clear view on the sales and make definitive statements on the availability and popularity of strains. So instead we rely on empirical methods (Netherlands coffee shop menus). This is possibly the least expensive — and one of the strongest types with lots of THC — option for a tourist that is visiting the Netherlands. With prices between 5 to 13 euros ($5.29 to $13.75) per gram, White Widow appears on the menus of at least 40 coffee shops in the country. During the 90s, White widow appeared in and won the Cannabis Cup. Since then it has become as famous as it gets and is a living a legend. It’s a balanced hybrid of Indian indica and Brazilian sativa. As a result, White Widow gives a body and head high. It also offers a boost of energy and a cerebral high. The taste is smooth and the earthy pine aroma is subtle. It is the perfect strain for all tourists who want to have fun in Amsterdam. You’ll find Super Silver Haze sold for 10 to 14 euros ($10.57 to $14.80) euros per gram in the Netherlands and is available in 32 coffee shops. This sativa is a crossbreed of several other popular strains, including Northern Lights and Skunk. The results is a strain that will provide a body high, but will also motivate you and will provoke your thought. One of the distinctive characteristics of Super Silver Haze is that the creative effects last longer than other strains. Moreover, the earthy and fruity taste is extremely delicious and long lasting. You’ll be asking for more. This is a very popular and relatively cheap strain found in coffee shops. The prices start at 7 euros and go up to 14 euros per gram ($7.40 to $14.80). Amnezia Haze is a familiar type of Haze in the Netherlands. You can find it in at least 44 coffee shops, and it won 2 awards at the High Times Cannabis Cup. The strain is full of fresh flavors like lemon and a fruity hash-like taste that will give you some serious uplifting vibes. It is a sativa-dominant strain with a rich THC content of around 20 percent. The high from Amnesia Haze is focused and will make you feel happy and full of creative energy. You can buy OG Kush for 13 to 16 euros ($13.75 to $16.92) per gram in a coffee shop. This strain’s genetics are mostly indica and will give you a meditative head high. OG Kush has some important medical properties and could help with psychiatric symptoms, anorexia and asthma. It’s an extremely strong cannabis strain with a distinct terpene smell of pine, citrus and lime flavor. Kush strains like this one are indigenous to Afghanistan and North Pakistan. You’ll find this available in more than 22 coffee shops in the Netherlands. Girl Scout Cookies is found less frequently in Netherlands coffee shops, but as it grew more popular in California, it began to gain popularity in Europe as well. With a price of around 13 euros per gram ($13.75) is available in at least 10 Netherlands coffee shops. It’s mostly sold in Amsterdam, the place where the new trends come first. This is an almost balanced hybrid that, although it is indica-dominant, has a strong sativa component, giving it a special character. It tastes sweet and earthy. This crossbreed of OG Kush, Durban Poison and Cherry Kush is often used for medical purposes and it seems to help with pain. What are some of your favorite strains in Netherlands coffee shops? Remember what you paid?